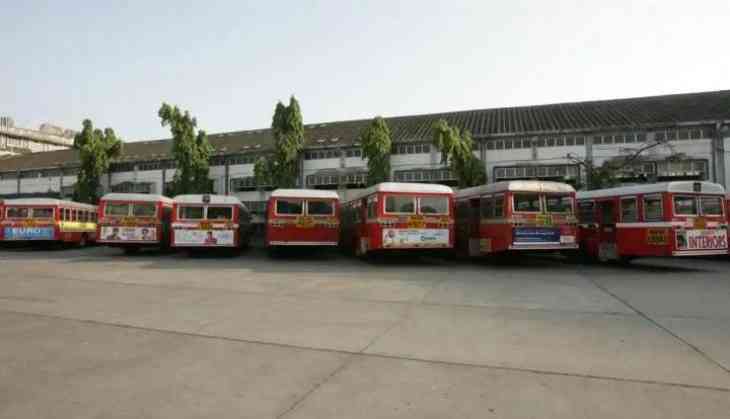 Commuters plying in buses in Mumbai are facing trouble after the Brihanmumbai Electricity Supply Transport (BEST) employees decided to go on an indefinite strike from Monday night against the inaction of the authorities towards fulfilling their demands. "As per the latest information from Brihanmumbai Municipal Corporation control (BMC) room, BEST buses will be on an indefinite strike from 5 am on Tuesday," tweeted Mumbai Police. On Tuesday, BEST buses were seen off roads supporting the indefinite strike, affecting normalcy in the financial capital of the country. Officer goers were also facing trouble due to the strike. The Best employees, from a long time, have been demanding for merging of BEST budget with 'A' budget of BMC. They are also seeking resolution of the issue of employee service residences and recruitment. When the talks with the authorities failed, the employees resorted to the strike. To reach to their destination on time, Mumbaikars had to resort to other modes of transport.